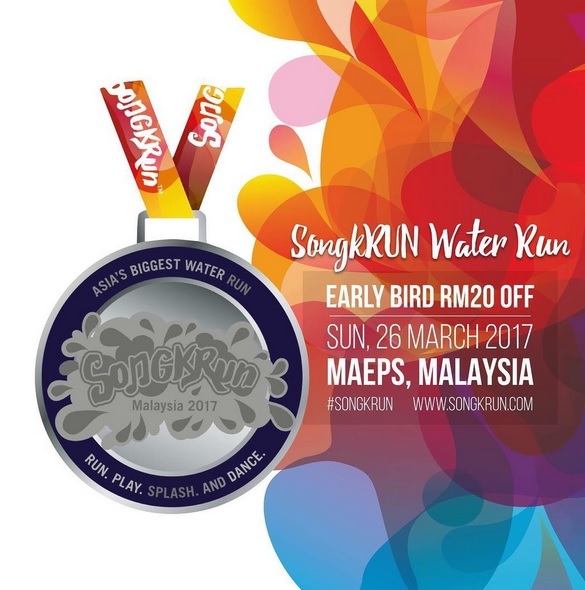 SongkRUN Water Run Malaysia 2017 Make You Wet When You Play to Splash Water With Your Friends! 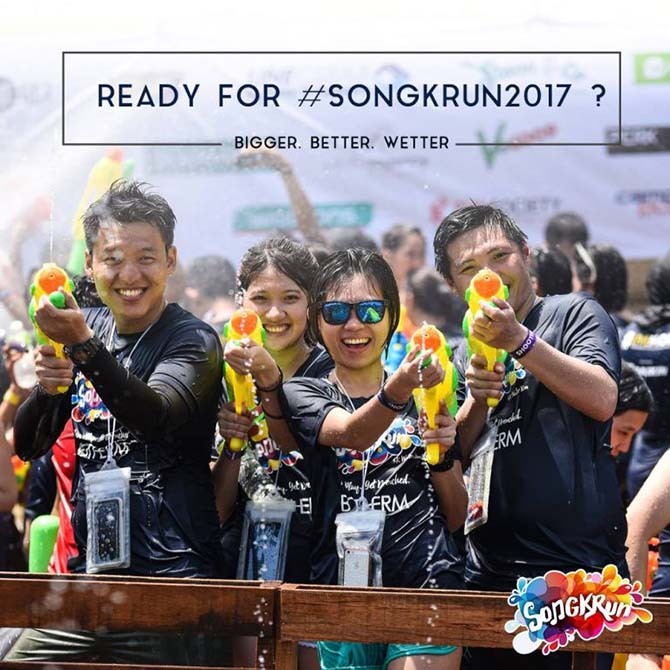 SongkRun Water Run and Music Festival is 1st Asia's biggest water fun run, bring all runners who have the spirit of having fun splashing water to make wet through a 5 kilometre course! It also presented by DAIKIN & BAC are back on 2017 again! It located at MAEPS Serdang, Selangor. You definitely should not miss 1st water sport marathon with your own unique experience! Dash, Splash and Dance along the music in a spectacular icy experience and rain showers at Asia’s biggest water fun run and music festival. Running has never felt this good. So, they will make you experience a very amazing about the water and music zones have been re-vamped with various themes each combining a genre of music and fun. 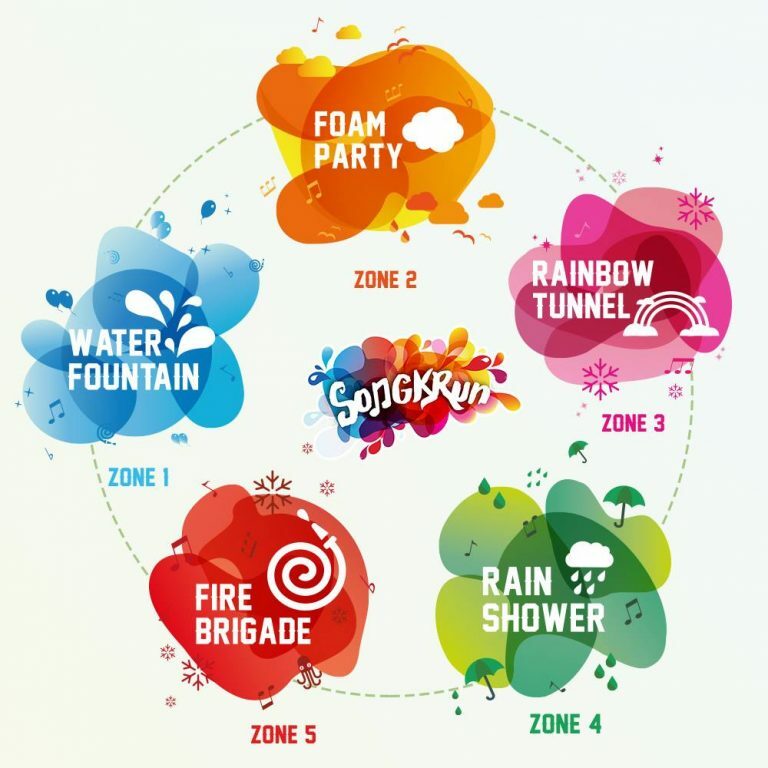 You will run through the water fountain, foam party, rain shower, icy tunnel and the lastly, fire brigade. After this water areas, you will arrive at the official SongkRUN music festival featuring well-known musicians and DJs such as ANRK, Chukiess & Whackboi plus many more! 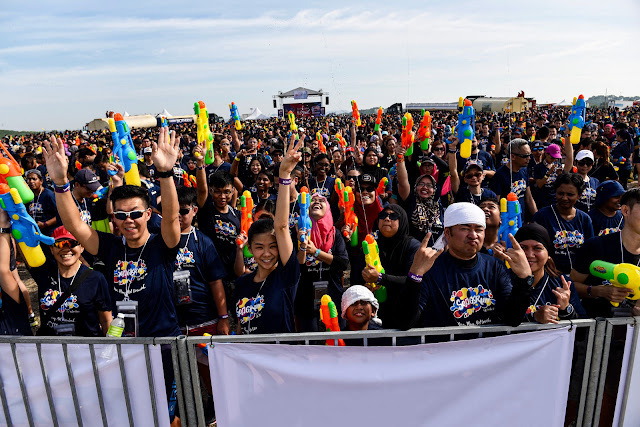 Thanks to Six Foot Yellow Worldwide (SFY) and co-organized by FAC3 Entertainment is designed to offer Malaysians the chance to have outdoor bonding moment with friends, family and kids to experience a cross cultural fitness event! 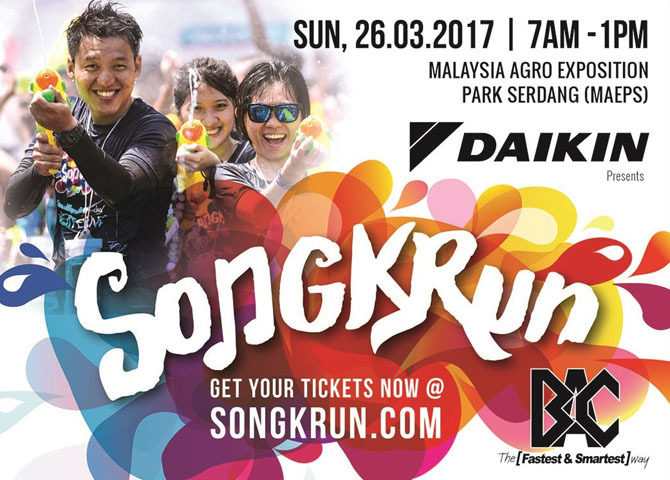 This event is very fun for the first-time Malaysian runners will get more wet when they always chase each other with the SongkRun's water guns. 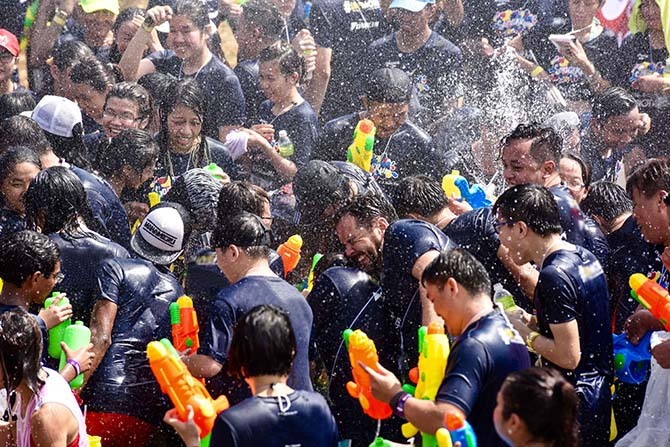 You can get the water guns from SongkRun - click here! because SongkRun are strict and ban you from bring your own water guns, for the runners' safety! “Compared to last year, SongkRUN this year is really unique. It lets you work up a sweat while taking in the unique sights and splash amidst friendly camaraderie,” shared Mr. Andrew Lee, Founder of the SongkRUN.”Look out for more exciting news as we reach out to other ASEAN countries this year. Watch this space!” he exuberantly added. The event also sees another co-sponsor; Brickfields Asia College otherwise also known as BAC who together with DAIKIN is the collaborative partner of the event. “BAC identified an opportunity in this collaboration as we believe in encouraging our students to embrace an energetic and healthy lifestyle as part of transforming yourself through education, said Mr. Raja Singham, Managing Director of BAC. “Health and Fitness is part of the BAC Experience thus enriching people’s lives. We would like to reach out to more people through SongkRUN to experience that and have fun too,” added Raja. Each participant will receive a t-shirt, medal, waterproof pouch and wristband for participating. The Shooter pack on the other hand will entitle participants to an additional water gun which they can fill up at designated water filler stations in each obstacle track. They will deliver to your home so FREE! Make you are enjoy to splash the water at your friends so crazy! You all will be jump or dance or roll in the fun area which you face in the 5km journey when you excited to get wet so much! When you are hungry for breakfast or lunch, you also can enjoy to eat at food Stores there, ya! 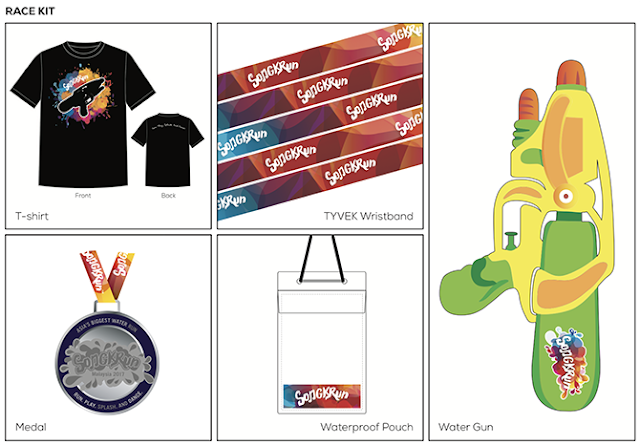 Join the SongkRUN Water Run - Register NOW! Good news to you all! 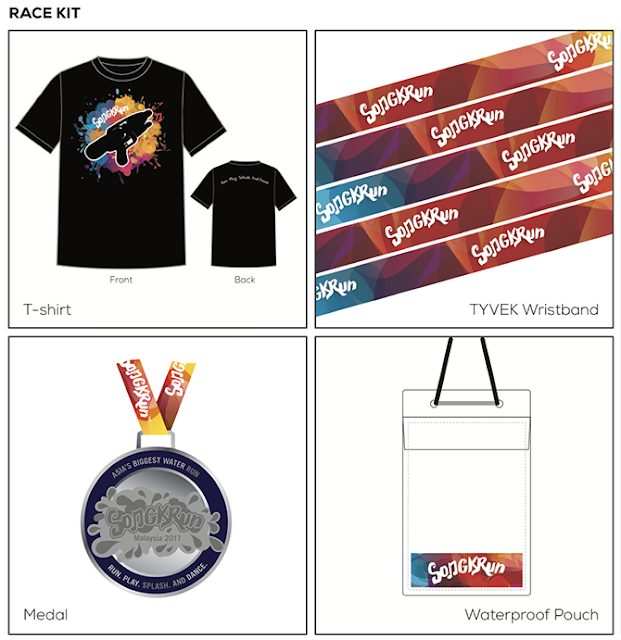 They can send your race-kit to you via FREE Delivery (It be available in Malaysia only)! No worries! Looks like everyone had so much fun joining this run. Will equip myself with water gun too during the run. I could hardly run 1 km now, haha. But good sharing on this event. Should definitely start working out again. This spells fun, fun, fun! I have always wanted to go for Songkran but never did. Perhaps I'll just go for this run! I hate running but wouldn't mind joining this just for the sake of playing water with my friends. LOL! I saw some photos on last year's Songkrun and thought it was a lot of fun. Wouldn't mind joining it this year.